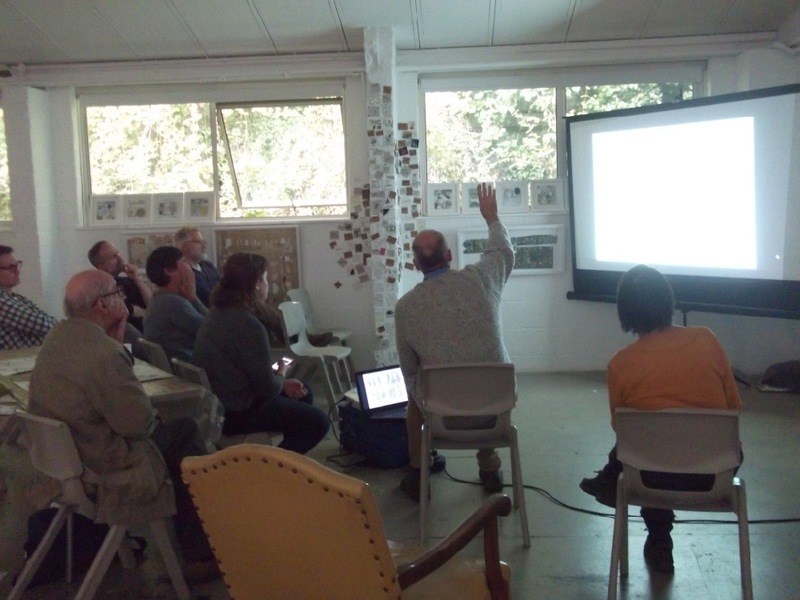 The Lab is a spacious studio based on the Dartington Hall estate in rural Devon. Designed for versatile use for workshops, events and artists’ studio and residency space, we’re equipped to present exhibitions, projection, sound and live installation work. Our unique location beside the Dartington Hall gardens and a short walk from the River Dart provides opportunities to work outside. All events and workshops that take place at the Lab carry an ethos of collaboration, innovation and experimentation. 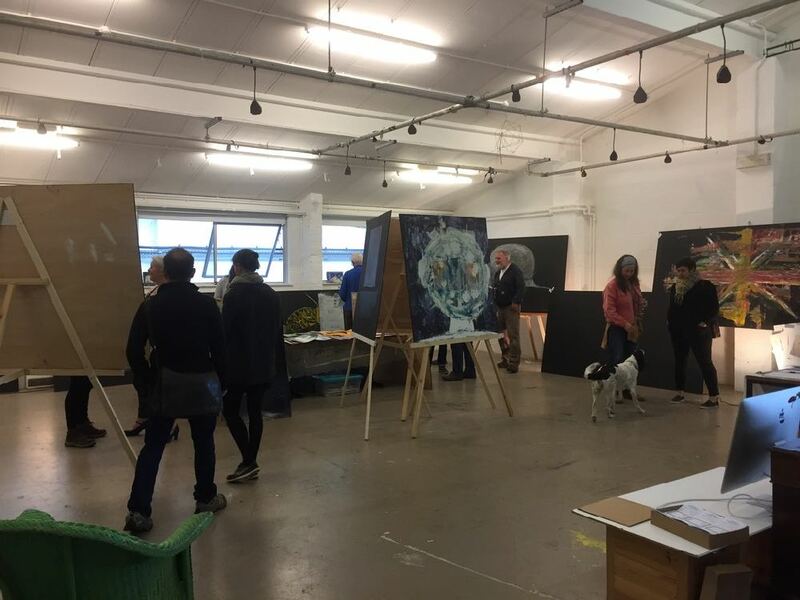 The 109 square metre space is warm, welcoming and well lit with several power points, storage cupboards, a supply of art books, work tables, 30 chairs and a sink with hot and cold water. While the floor has absorbed paint marks over the years, the walls remain pristine white, ready at all times for exhibitions. 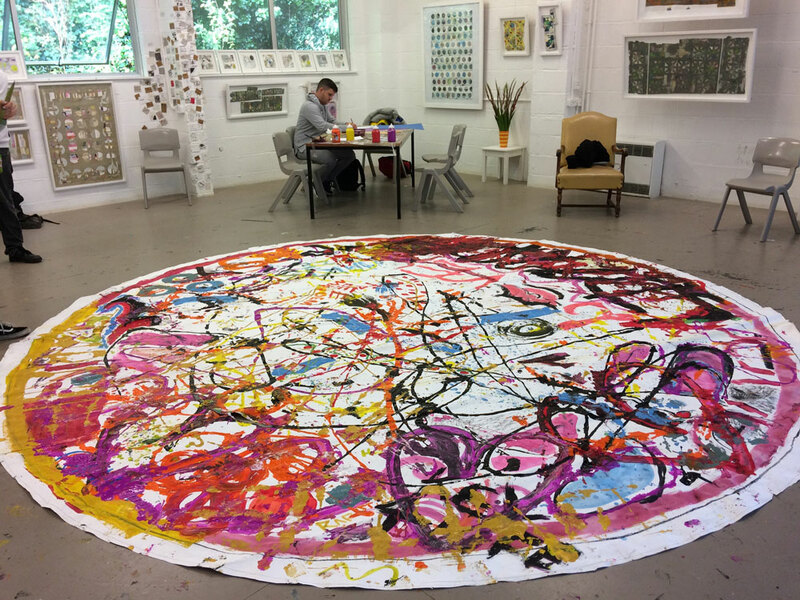 Messy making is absolutely ok on floors and tables. We’re equipped to present exhibitions, projection, sound and live installation work. Our 2D artwork hanging system consists of S hooks, cables, zip locks and bulldog clips. Media arts co-ordinator, Craig Whyte, oversees and co-ordinates projects for groups and individuals on Thursdays and Fridays. Watch this space for further details. Film/ animation and sound artists can also hire our specialist media suite.